RTVE innovation project ‘Journalism Innovation HUB’ started its activity last Thursday during the International Classical Theatre Festival of Almagro. Until the 29th of July, the event will share its facilities and activities as a contribution to the HUB, in which several leading companies from the media industry, such as VSN, are involved. One of the main goals of this project is to promote citizen participation in news production and events coverage. 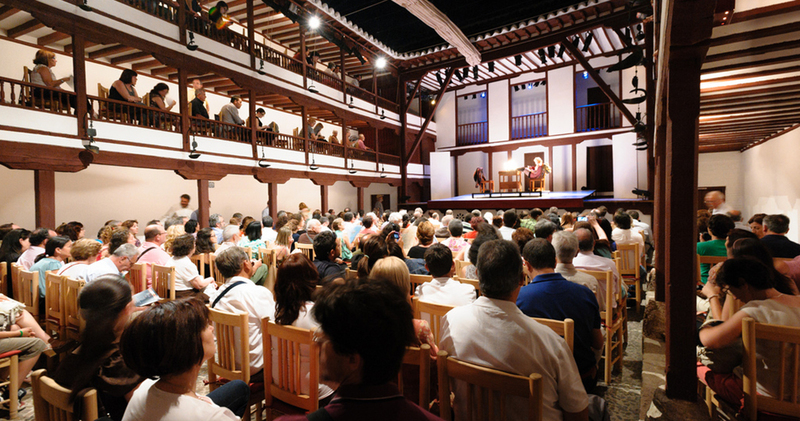 The project ‘Journalism Innovation HUB’, created by state-owned public Spanish Radio and TV Corporation RTVE, began its activity during the Classical Theatre Festival of Almagro in order to study the digital transformation of TV news, including both new technologies and new ways of working to bring events such as the Almagro Festival closer to viewers. This collaboration aims to blend classical theatre with new technologies and become a reference in content communication. It is an open-ended project which seeks to implement in the cloud all functionalities and tools employed, without any on-premise infrastructure, and which results will be relevant for radio, TV and other interactive media. One of the main goals of RTVE during the festival is to encourage citizens to participate in the creation of news and content. This way, the corporation expects to promote the collaboration of “Information Observers”, people formed in audiovisual narratives who could contribute with content directly from their mobile phones, as well as the collaboration of “Information Collaborators”, people who witness a particular newsworthy event and who can voluntarily provide multimedia content to complete the information available. With all these efforts, RTVE expects to increase the value of this experience within the Classical Theatre Festival of Almagro. Several leading companies from the media industries are contributing to this project. Among them is VSN, a global technology company focused on the development of IT solutions and software for the broadcast and media industry. VSN contributes to this project with its knowledge and experience in the areas of content edition and management in the cloud, as well as automatic indexation and documentation. The project ‘Journalism Innovation HUB’ also has the support of Telefónica and TSA, who contribute to reinforcing the technical infrastructure and workforce in areas such as engineering, workflow, and cell phone coverage; Google, who provides its infrastructure and cloud services to the project; Watchity, who focuses on multi-camera filming with its cloud live video production platform; Brainstorm Multimedia, a technological company focused on real-time graphics and virtual reality, virtual scenography and augmented reality; and the recently incorporated Hispasat, the Spanish telecommunications satellite operator, who will contribute with its facilities to enable Mobile Journalism in live news satellite coverage. To learn more about VSN solutions for content edition and management, visit its website.